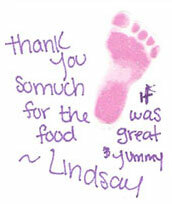 “This Valentine’s Day, love is in the air for new parents at a few local hospitals. “We just wanted to take the time to say thank you. “Hello. 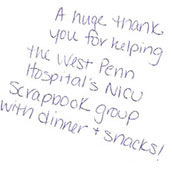 My daughter was a patient at the West Penn NICU in 2013. During her stay we received a Zack Pack stuffed with toiletries, treats and so many thoughtful personal items that made pacing the halls of the hospital much more comfortable. During her stay, I was very emotional and stressed I couldn’t remember what day it was let alone remember to pack a bag for the hospital.